In 1991, seven-year-old Sulome Anderson met her father, Terry, for the first time. While working as the Middle East bureau chief for the Associated Press covering the long and bloody civil war in Lebanon, Terry had been kidnapped in Beirut and held for more than six years by a Shiite Muslim militia associated by most with the Hezbollah movement. 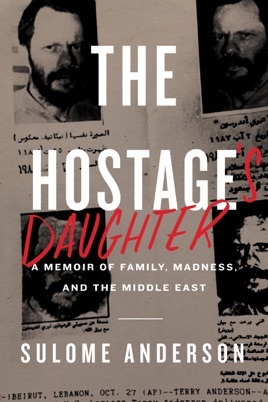 Journalist Anderson sets out to learn the truth about the 1985 kidnapping of her father, Terry Anderson, who was held captive for six years by the Islamic Jihad Organization (IJO), an event that defined her life and impaired their relationship. She sets out to learn about the men who took her father and "how a person becomes a terrorist." The resulting journey is a perilous and riveting spiral into Middle Eastern politics, exploring the dawn of the terrorist era in Beirut. At the center of her story is the question of Hezbollah's complicity and the possibility of an IJO double agent dealing secretly with Israel. She speaks with U.S. counterterrorism experts Barbara Bodine and Robert Oakley, an infamous former plane hijacker, and her father's fellow kidnappee Terry Waite, before coming face-to-face with someone uniquely qualified to answer her questions and provide the closure she so desperately seeks. Anderson intersperses her personal story, meeting her father for the first time at age seven, through a host of personal crises, and the redemptive powers she found in her chosen career. Through these dual narratives, Anderson creates a compelling depiction of the collateral damage of terrorism and a remarkable piece of investigative journalism with a surprise twist. Though we never get a full picture of her strained relationship with her father, that may be the point there isn't much to tell.